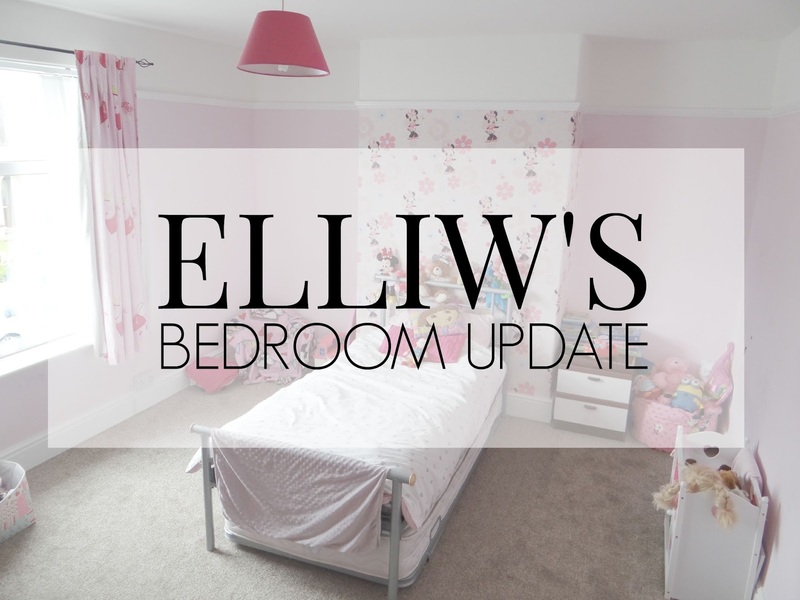 I am currently in the middle of planning on a big makeover in Elliw's bedroom. 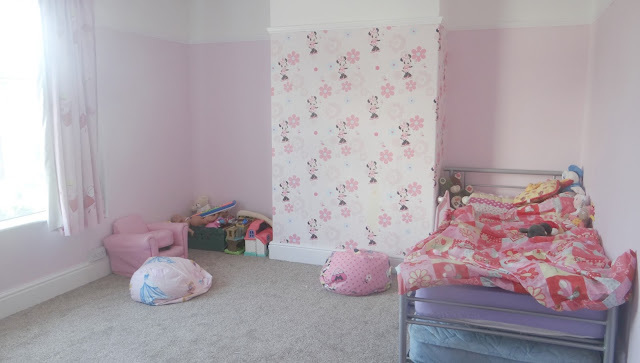 I am planning on moving both girls into one room. I have seen the bunk bed I want to buy but I am stuck on what theme to have. I will update you all soon, with my ideas. In the meantime I decided to do change Elliw's bedroom around a little. 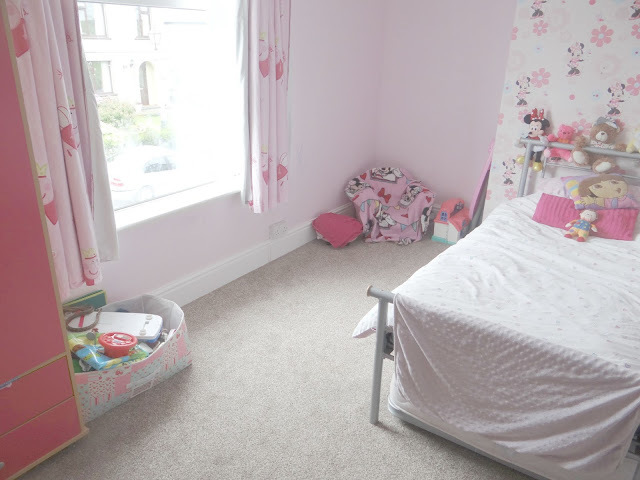 Her bedroom is really big, maybe a bit too big for such a small person. But plenty of room to play! Elliw's bed has been in the same place since we moved in, just over a year ago. I was bored of it being in the same place and having that massive space. 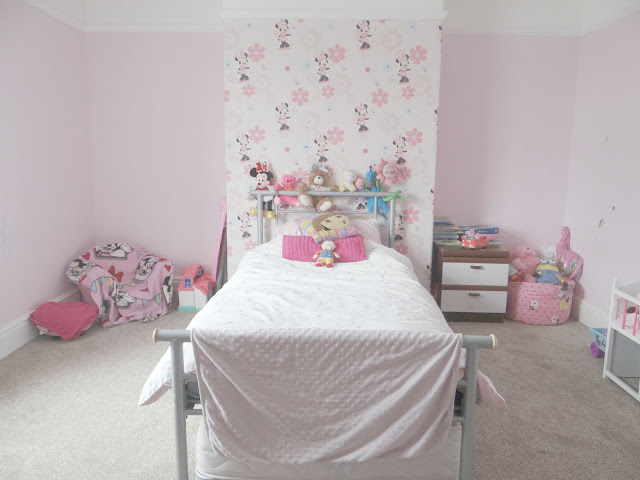 I wanted it to look a lot more cosier and more like a bedroom for her so I decided to make a change one day last week. I moved the bed in two different place countless of times. I was so hot, silly me forgot to open the window and didn't realise it was shut until after I had finished! I am so pleased with how it looks now. 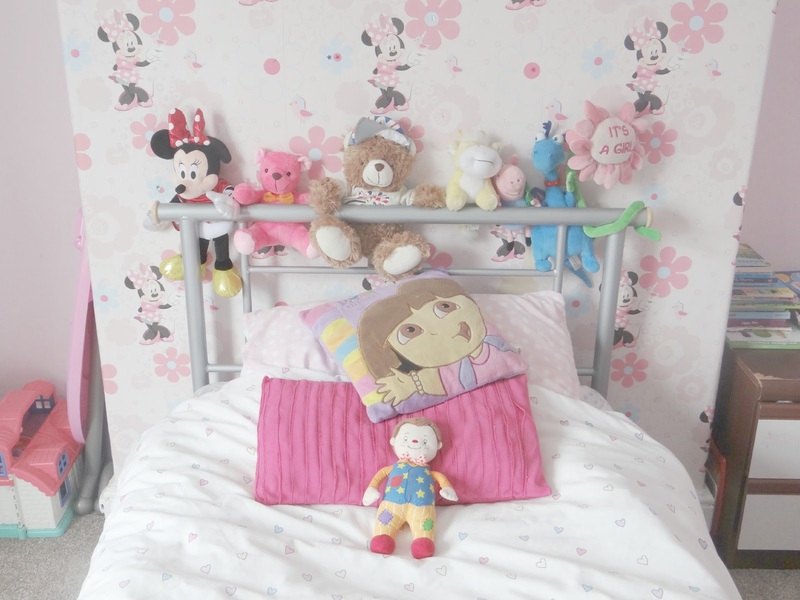 But I really can no wait to get started with the new theme and completely transform the bedroom. At the minute her bedroom is Minnie Mouse and pink themed. I am getting rid of all the Minnie Mouse and making it totally different. Can't wait to show you all my ideas soon. Oops, I hadn't noticed how messy the top of the cupboard was when I took this photo! 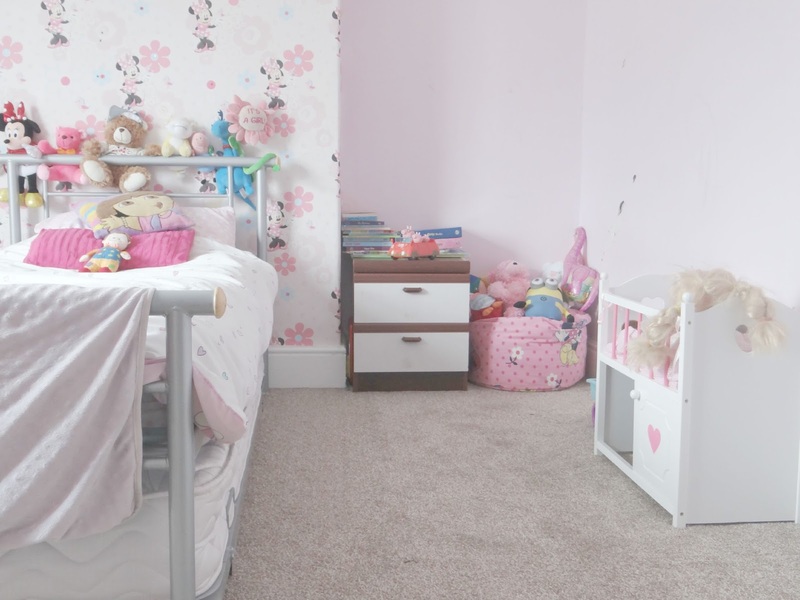 What do you think of Elliw's bedroom? 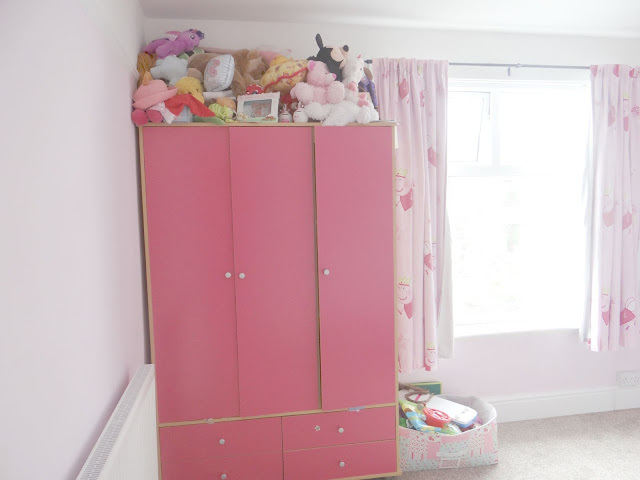 The room is really adorable, I can't wait to see what you do with it! I do like the bed in front of the wallpaper, it showcases the room and makes it look cozy, just what you were going for!